Management and technology consultancy BearingPoint has named Berlin based Judith Sasse as new Group Compliance Officer. By leveraging its existing compliance expertise and creating a new standalone firm-wide compliance function, BearingPoint aims to address compliance issues before they arise and provide continuous trust towards its clients. Judith brings with her more than 15 years of professional experience in the legal, compliance and corporate governance field. 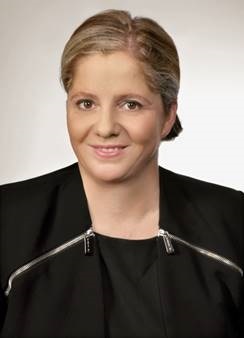 She has a strong international background having held senior compliance related positions at major global companies including British Telecommunications PLC and Ernst & Young Global in London, and she was most recently at Louis Dreyfus Company, one of the leading global merchants and processors of commodities, based in Paris. “BearingPoint is a management and technology consultancy whose ambitious growth strategy is fully supported by its strong business ethics and integrity and by being a trusted corporate partner. We are living in turbulent times, where unprecedented global challenges and changing regulations can have a significant impact on financial performance. It is therefore a great pleasure to support BearingPoint on its journey of sustainable success through a robust and integrated compliance function,” said Judith Sasse.